The Hall of Valor at Soldier's and Sailor's Memorial Hall and Museum. For my internship, I worked as the curatorial and educational intern at Soldier’s and Sailor’s Memorial Hall and Museum. Originally constructed by Civil War veterans in 1910, the building served as a gathering place to honor all veterans through the large auditorium and ballroom. Over time, it has developed more into a museum, while maintaining its status as a memorial. There are unique exhibits on the wars of America ranging from the Civil War to the recent War on Terror. Being a smaller museum, Soldier’s and Sailor’s allowed me work with the educational and curatorial departments. On the educational side, I helped prepare the materials needed to give the interactive tours to local schools. For the tours, each student is assigned a role and receives a customized dog tag. Most of the work during the internship was completed on the curatorial side of the museum. Donations of artifacts needed to be cataloged and photographed before entered into the computer records. This year, the museum received new PastPerfect software to catalog artifacts. I created a simple user guide for future interns and other museum staff. Aside from the regular duties of the internship, I spent time working with the Joseph A. Dugan, Jr. Hall of Valor. Started in 1963, The Hall of Valor honors Pennsylvanian veterans who have earned a Silver Star or higher in combat. A plaque with information on the actions of each veteran is added to the Hall, where it is hung for 2 years before being digitized. 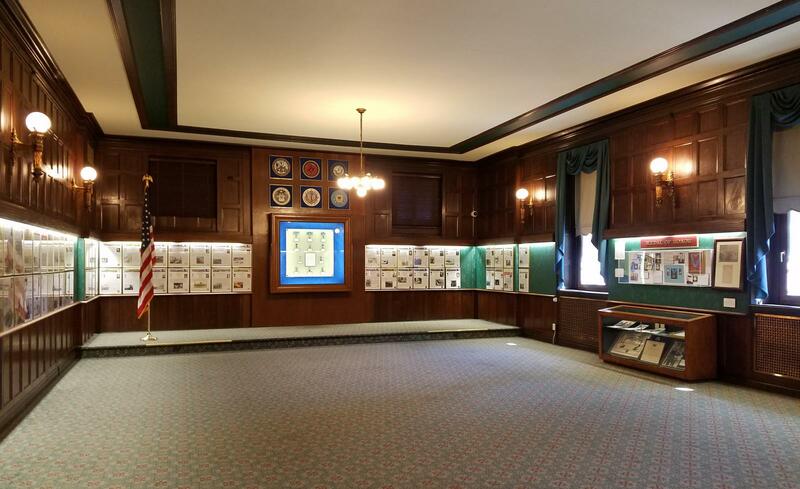 Recipients of the Congressional Medal of Honor have their plaques permanently installed into the Hall. Each year about fifteen members are inducted into the Hall of Valor. The 2017 inductees have brought the grand total to over 700 veterans. Technical Sergeant William Fahrenhold was one of the members inducted in the 2017 class. Among the objects donated by his family was the wartime diary T/SGT Fahrenhold kept while he was a bomber crewman in World War II. I worked on transcribing the diary to create a copy that can be accessed and viewed in the future without risking the integrity of the original diary. The internship at Soldier’s and Sailor’s Memorial Hall and Museum has been very helpful with my career goals. I intend to work in the museum field specializing in American military history. Working alongside the curator, Michael Kraus, has expanded my knowledge thanks to his renowned status as a Civil War historian.